Start your holiday shopping at the High! 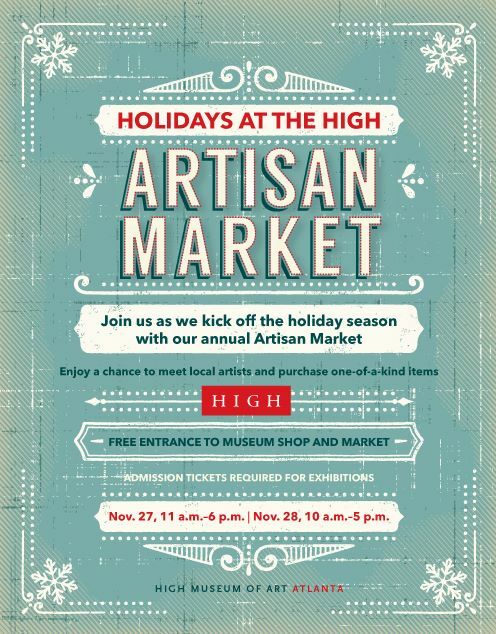 Join us as we kick off the holiday season with our annual artisan market. Enjoy a chance to meet local artists and purchase one-of-a-kind items. November 27, 2015 11 a.m.-6 p.m.
November 28, 2015 10 a.m.-5 p.m. Cost: Free entrance to Museum Shop and market; admission tickets required for exhibitions.